The lot is back on the market. It could not accommodate a walk out that the Buyer wanted. 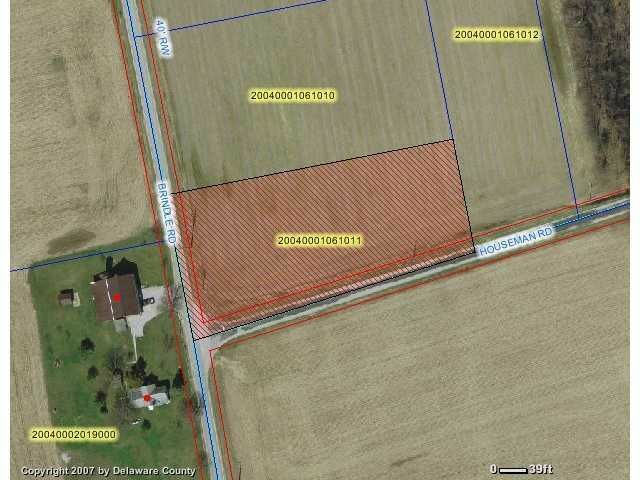 This one parcel that is part of a 27 parcel neighborhood located only minutes from downtown Delaware, Dublin, the Columbus Zoo and all the amenities associated with the North end of the Columbus area. There are walking paths, ponds, a pavilion, horse stalls and riding paddock, creeks and plenty of wonderful central Ohio countryside to enjoy. Lot sizes vary from approximately 1.4 acres to just over 7 acres. Pricing varies according to each.